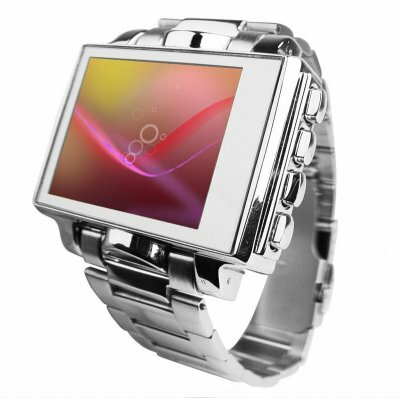 Successfully Added Ultimate Style 8GB Steel MP4 Player Watch - 1.8 Inch Screen to your Shopping Cart. Steel MP3 + MP4 Player Watch. In our effort to always bring you the latest and greatest new electronic gadgets, we now brings you this 8GB MP4 Watch with Full Color 1.8 Inch Screen and made completely from steel for the ultimate in style and coolness. This CVDAD-838 comes with a high pixel display and FPS (frames per second) playback, making viewing videos is a joy. It also has an MP3 player with the ability to speed up or slow down the music playing, a built in speaker, voice recorder function, multiple language availability, and so much more. What more could you ask of such a beautiful looking watch?